This hooded cloak would have been worn as a highly fashionable luxury item, requiring months of labour to make. It is an unusual example of the Shetland knitting tradition in that it uses silk yarn and not the fine wool yarn spun from Shetland sheep, and it has a hood. 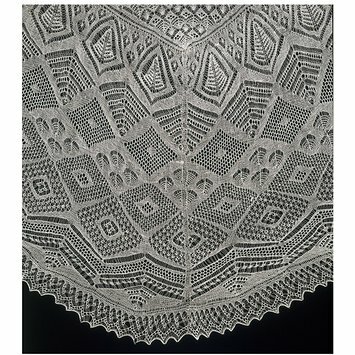 Shetland lace shawls were knit on very fine steel needles, or 'pins' as they were called. 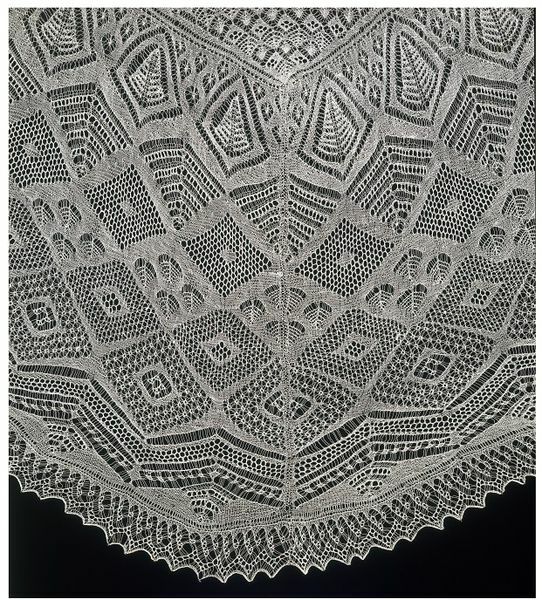 The open patterns, imitating fine lace, were invented by Shetland knitters and named after local features, such as 'Ears o' Grain', 'Fir Cone' and 'Print o' the Wave'. 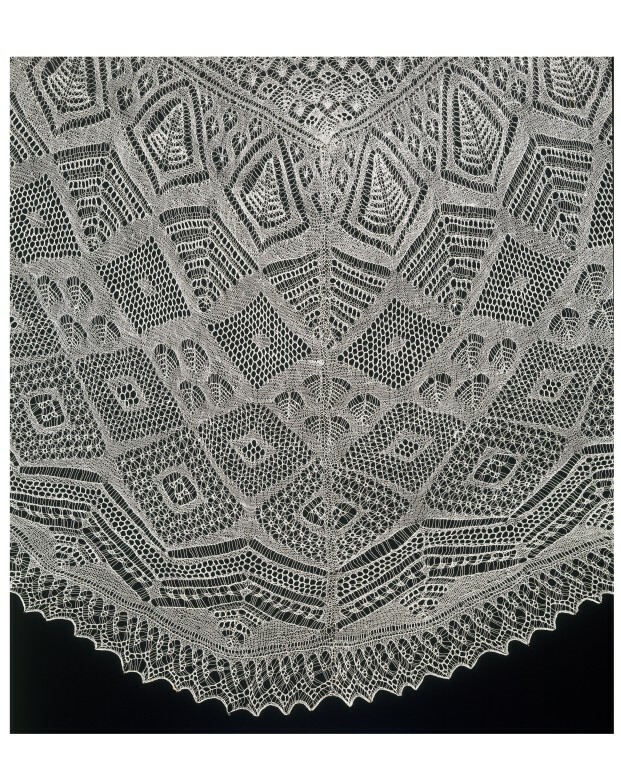 Although these shawls were bought by wealthy women, the knitters earned little in return for the amount of work that went into creating the thousands of stitches that made up one garment. A woman's large, semi-circular cloak with a small hood attached to the centre of the straight side. It is hand-knitted of fine white silk yarn in a lace pattern. The centre triangle is composed of bands of small interlocking diamonds, each with diferent pattern fillings, similar to those associated with the Isle of Unst. The larger border is knitted in two halves, joined by open grafting. The outer edge is finished with a separate narrow border, knitted in the perpendicular direction and attached during the knitting. The hood has two draw strings, each finishing in a large silk tassel.